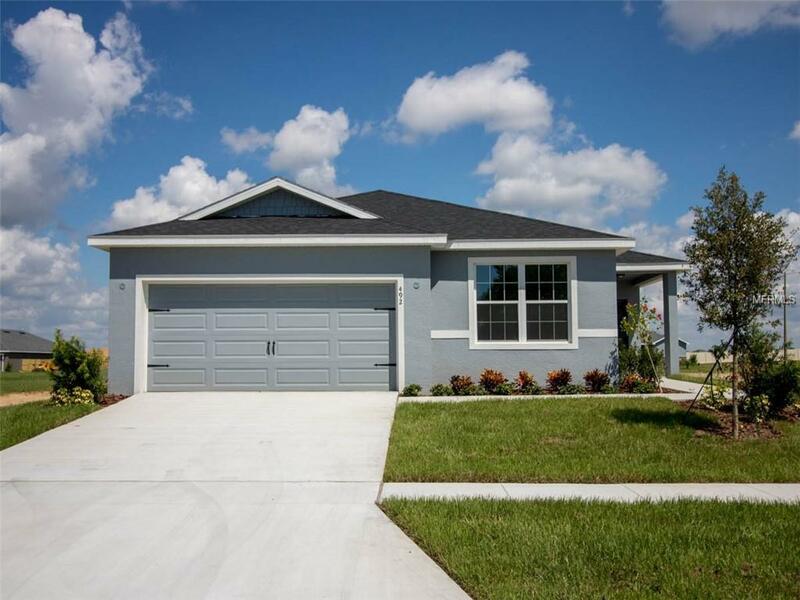 Brand-new, move-in ready 3-bedroom home for sale in Haines City, Florida! 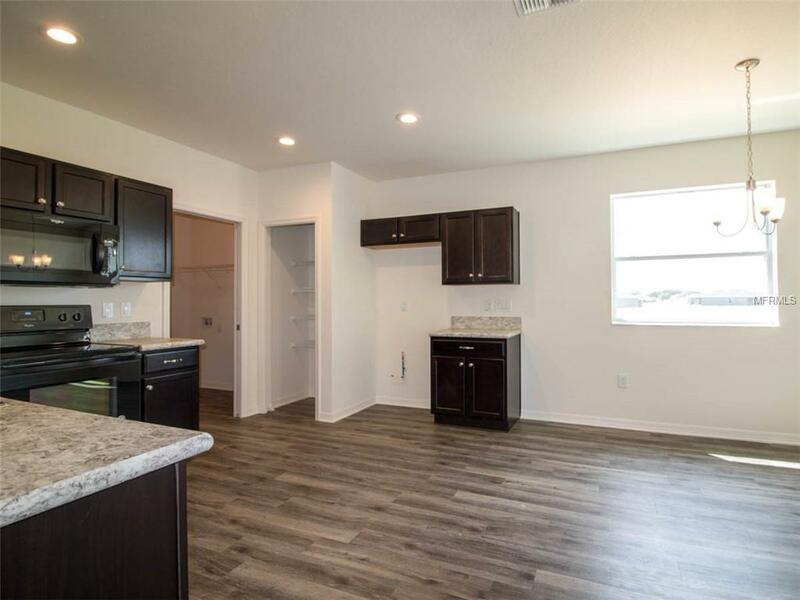 Open living areas, eat-in space in the kitchen, and a luxurious master suite will make you want to call this beautiful three-bedroom, two-bath your new home! Youll find stylish and durable wood vinyl plank flooring in the great room, which looks out to the covered lanai and leads to the kitchen. 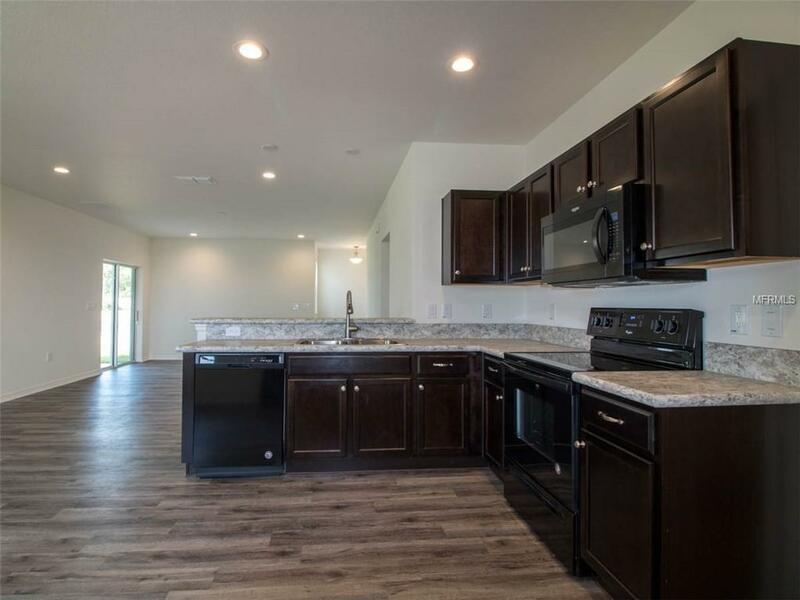 Twilight birch wood cabinets with decorative knobs/pulls accent the sleek black appliances in this roomy kitchen complete with premium laminate countertops with a stylish crescent edge. Youll love retreating to your master suite, complete with full master bath, including a jetted garden tub and separate tiled shower enclosure. The split layout of this home plan means extra privacy for the master suite. A convenient drop zone with USB charging outlets reduces household clutter. All bedrooms boast Mohawk stain-resistant carpet and are pre-wired for cable and ceiling fans. Save on utilities with energy efficient R-30 ceiling insulation, foam injected block insulation, double-pane Low-E windows, and a programmable thermostat. Brand new plus includes a great 2-10 Home Buyers New Home Warranty for peace of mind. A must see to truly appreciate the value of this gorgeous home and community. 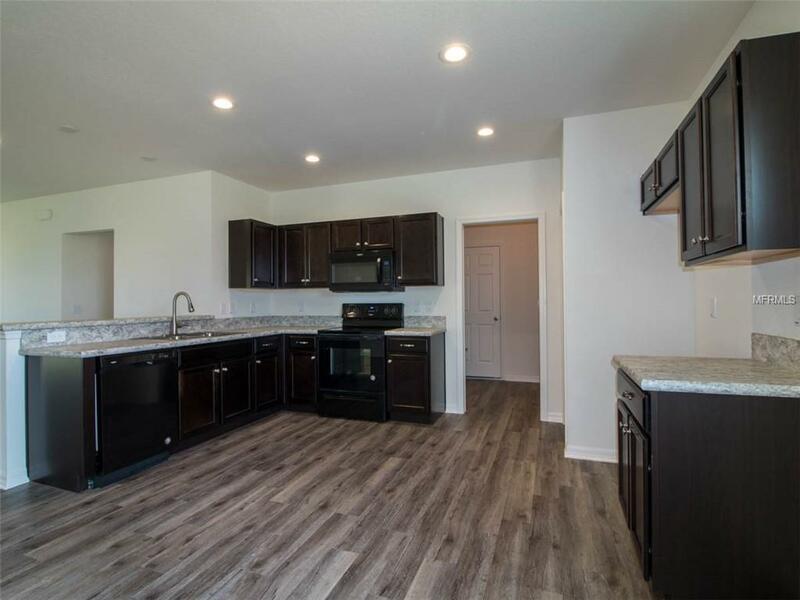 Come visit this beautiful house and make it your new home today!